Short Boss Muzik keeps the hits coming one after the other and this latest is no different as Vybz Kartel's devoted wife Tanesha 'Shorty''s imprint label presents "Represent Portmore" by Worl' Boss. Fans have made Worl' Boss singles a social media and radio constant fixture. 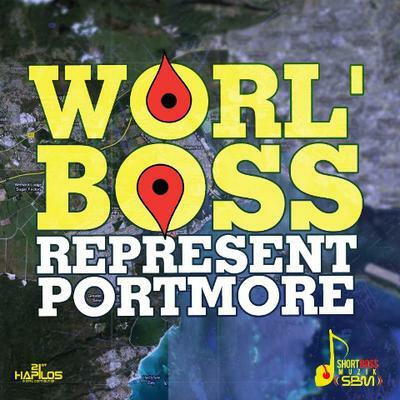 "Represent Portmore" is now available on itunes via 21st Hapilos Digital. Although he has become an international billboard dancehall sensation, chart topper Mavado hasn't forgotten his roots and with Young Vibez Production, he proudly sings "Pon Di Gully (Born & Brow)" on the Dark Skies Riddim. The hit single is out now on itunes via 21st Hapilos Digital. To many the Nightlife is a time to let loose, relax and let your wild side out. Hit City Records taps into that feeling with the release of "NightLife Riddim" featuring Aidonia with "Fi Get Gyal (We Nuh Waste Time)", Chan Dizzy "Bad People" and "Provate Party", Demarco "Stick A Bet", Jahmiel "Badness", Laden "Simple As You See It", Munga "High Grades" and Penti "Money". The hit riddim is out now on itunes via 21st Hapilos Digital. Time Unit Music presents "Money Chiss Riddim". The rhytm deemed already to be a hit by popular Jamaican newspaper "The Star", the young producer proudly told the publication "Well, I would describe this project as a door opening, to let the industry know that there are some good young upcoming producers out there that have the talent and can do the work as well as the name producers." "Money Chiss Riddim" features such artists as 3 Star Wild Life with "Dem A Stylla", Hit Dan "If Money Was A Girl", Jah Vinci "Wah My Money", Nuetron Obliv "Clean Money" and Tactical with "Haffi Rich". The hit filled riddim is now available on itunes via 21st Hapilos Digital.